Our most popular size for presenting treats and candy, personalized 4 x 2 x 8 baby shower goodie bags are a great way to say thank to your friends and family for sharing your special day. These bags can be used for almost any small treat comfortably holding approximately 50 jordan almonds, a couple handfuls of popcorn, chocolates, and more. 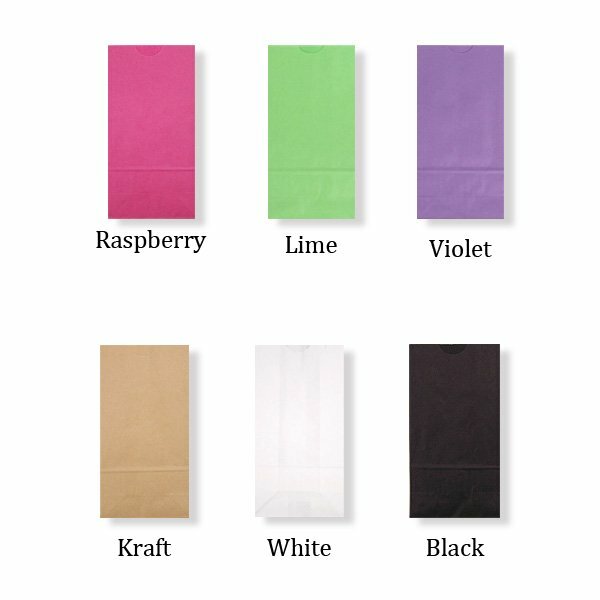 Each goodie bag measures 4 inches wide by 2 inches deep by 8 inches tall and is available in 8 bag color options. Have a baby themed design and up to 3 additional lines of text custom printed on the front in the lettering style and imprint color of your choice. Ribbon and contents not included. Will be using these for a candy bar at a baby shower. They are the perfect size snd the quality is very good. Great product! It was shipped quickly..overall great experience. Highly recommended.